Prof Dr Erika Isolauri is the chief physician in the paediatric department of Finland's Turku University Hospital. 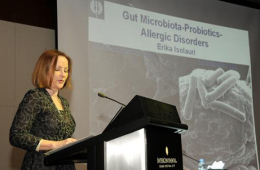 She was in Kuala Lumpur to give a scientific lecture on "Probiotics for Maternal and Child Health" to healthcare professionals. There are increasing trends of infants being born via Caesarean section and decreasing trends of exclusive breastfeeding (at least in the first 6 months of their lives) worldwide. Certain hormonal, metabolic and immunological influences that occur with labour help to modulate and mature a baby's immune system. This process does not occur when mothers choose Caesarean sections. As foetuses acquire their initial immunity from their mothers, this means babies born via Caesarean have a heightened immune system that is quite sensitive to allergens. They could develop allergies after being born. Babies are most likely to be colonised by good bacteria when their mother is healthy, has a good diet and delivers her baby naturally. But with such current trends as mentioned above, Prof Isolauri now looks into administering probiotics to pregnant and lactating mothers as an alternative way to providing infants with these bacteria. In addition, Prof Isolauri found evidence that the increased presense of certain Bifidobacterium strains of probiotics in babies protect them against excessive weight gain later in life. 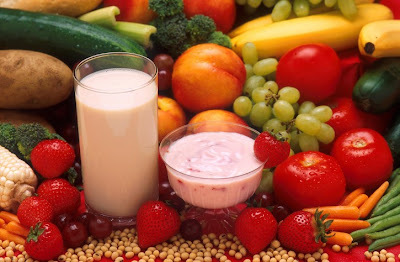 Probiotics are essentially live microorganisms that give health benefits to those who take them. Prof Isolauri found that administration of probiotics during the last stage of pregnancy modified the mother's breastmilk to benefit the babies in terms of reduced allergy and weight gain. Prof Isolauri says that in her home country of Finland, most expecting mothers now take probiotics of their own accord during their pregnancies. As a result, there are less people seeking medical attention for allergic conditions. Her studies show that the probiotic strains B.longum and B.lactis are found to be very high in the breastmilk of healthy women with healthy babies, which appear to indicate these strains are good for pregnant women. Where can you find these 2 strains of probiotics? Lacto-berry contains Bifidobacterium longum and Bifidobacterium lactis. Click here to discover the Uniqueness of Lacto-berry and how easy it is to consume to protect your baby against allergies and excessive future weight gain. Email me at laifuiping@gmail.com to get your supply of Lacto-berry.